Our range of products include diaphragm for control valve and pneumatic actuator diaphragm. Diaphragm For Control Valve is used in the pneumatic actuator of a control valve for regulating flow and pressure of fluid through a control valve. Available in different material like NBR, EPDM, Viton etc. with fabric reinforcement on the single side or both side of the diaphragm. We offer Diaphragm for Pneumatic actuator. 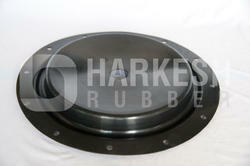 These diaphragms are manufactured using the qualitative raw material. 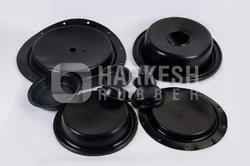 Our wide range of diaphragms allows smooth functioning of the actuator in the systems where they are being used. Looking for Actuator Diaphragm ?